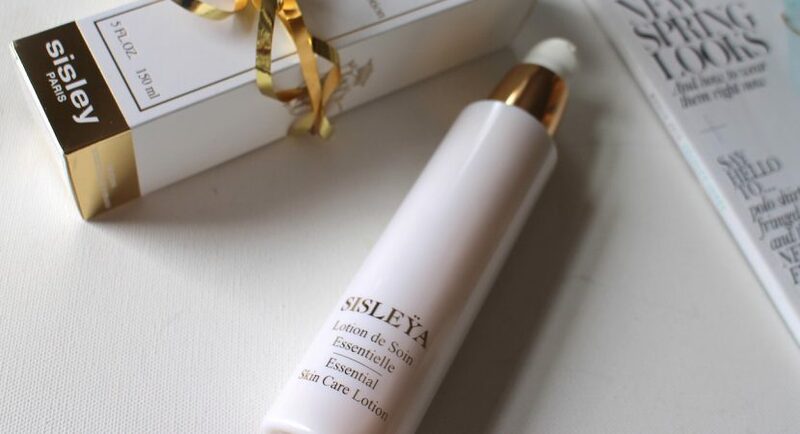 Sisleya Essential Skin Care emulsion from Sisley is dedicated for the mature skin with first signs of ageing. Cosmetic has moisturising, nourishing and regenerative properties. It highlights skin, reduces discolourations, dark circles around the eyes and other pigmentation changes of epidermis. After a month of use wrinkles become flatten, face contour lifted, skin tone up and collagen fibres strengthened. Additionally Sisleya Essential Skin Care emulsion can be used as a make-up remover or a product preparing skin for nourishing ingredients contained in next cosmetic to apply. How to use cosmetic from Sisley? Emulsion should be used in the morning and in the evening on the skin of face and neck (before application remove make-up and use tonic). Apply cosmetic with the fingertips and massage till it absorbs. To administer product you can also use cotton pads. Sisleya Essential Skin Care emulsion from Sisley has white 150ml/5.1 Oz. bottle with pump. The consistency of the product is half liquid, more like creamy. Product distributes well on face, absorbs quickly and doesn’t leave any smudges. Sisleya Essential Skin Care is a non comedogenic emulsion, which means that it doesn’t cause blackheads; it can be used by people with sensitive skin. What ingredients does Sisleya Essential Skin Care from Sisley have? In the cosmetic we will find, among many, ginkgo and white willow extract, which have antioxidant and tonic properties. Rest of substances (including marshmallow and brown alga extract, organic vegetable compounds) support cell renewal, moisturise and protect skin against harmful substances from the external world.